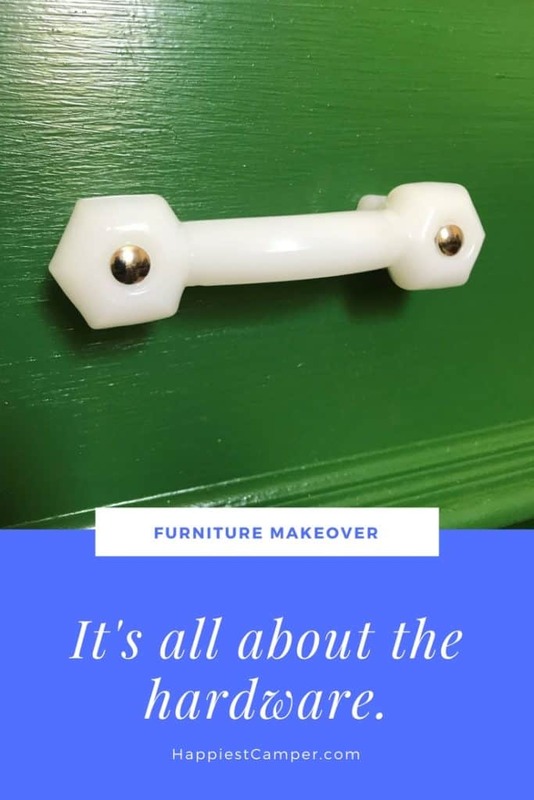 Disclosure: This dresser makeover post is sponsored by D. Lawless Hardware. All thoughts and opinions are my own. We are slowly but surely filling our small, temporary home with cheerful color after living in a RV for two years. 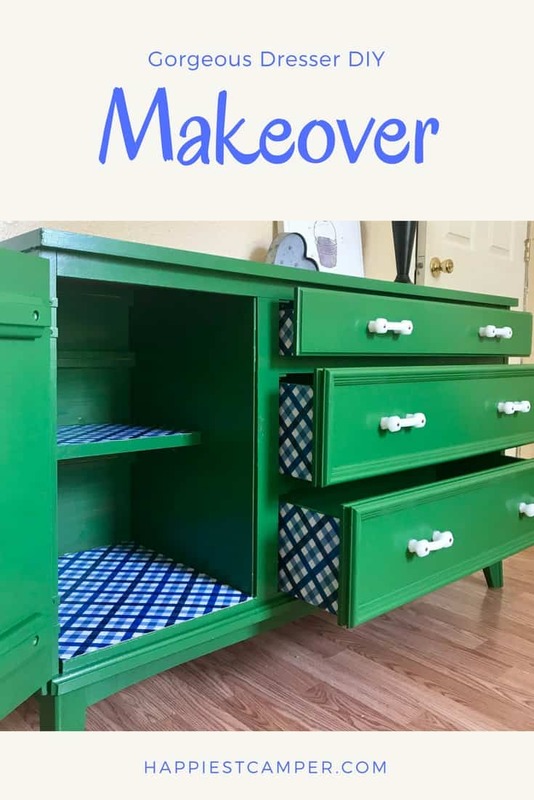 Our latest project is another dresser makeover. This one is for Sadler’s room, so he helped choose the color. Kelly green is an excellent choice, and it complements his train table that received a makeover quite nicely. 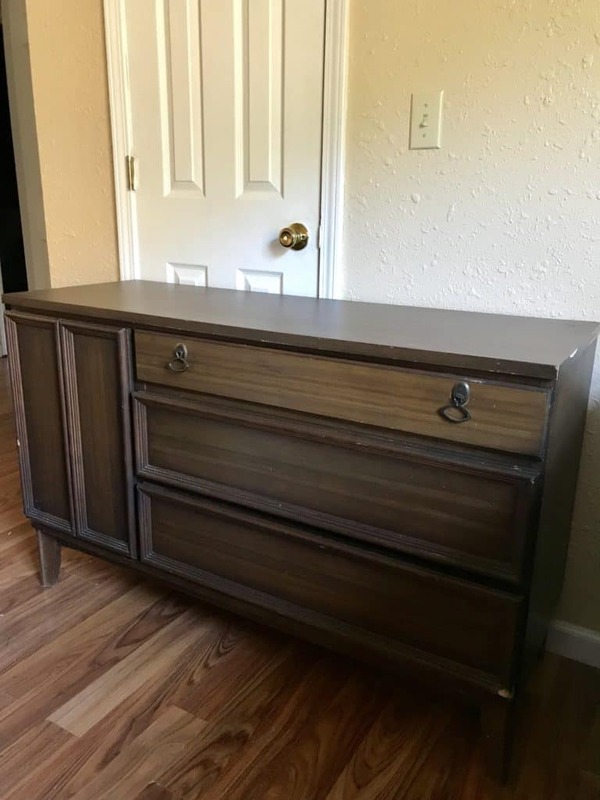 The dresser was loved and showing some wear, but in great shape overall. The corners were repaired with wood putty and screws were tightened. Then it just needed a punch of personality to complete the dresser makeover. Paint alone made a huge improvement, but Sadler had a difficult time opening the drawers with his tiny fingers. 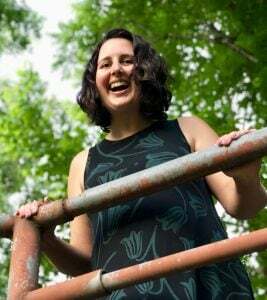 It needed bold hardware substantial enough to withstand a toddler and the bright green color. In keeping with its vintage appeal, some reproduction handles and knobs from D. Lawless Hardware would be the perfect addition. The company has a large selection of hardware at fantastic prices, and I know firsthand that they are wonderful people to work with. 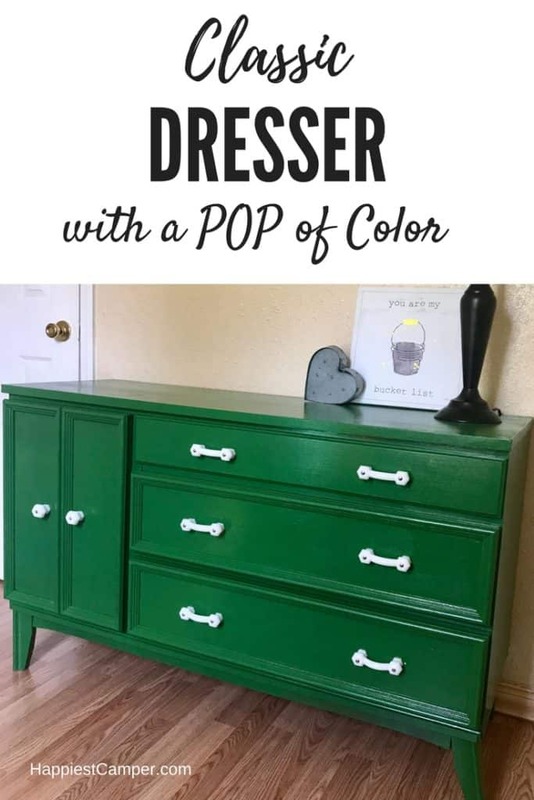 Classic handles and knobs in crisp white really set off the green nicely for this dresser makeover. One day we were all in the living room watching Friends (which pretty much runs on repeat at our house) and realized the very same hardware is used in Monica Gellar’s kitchen! Call me a nerd, but that makes me ridiculously happy. I feel like a cool kid now. 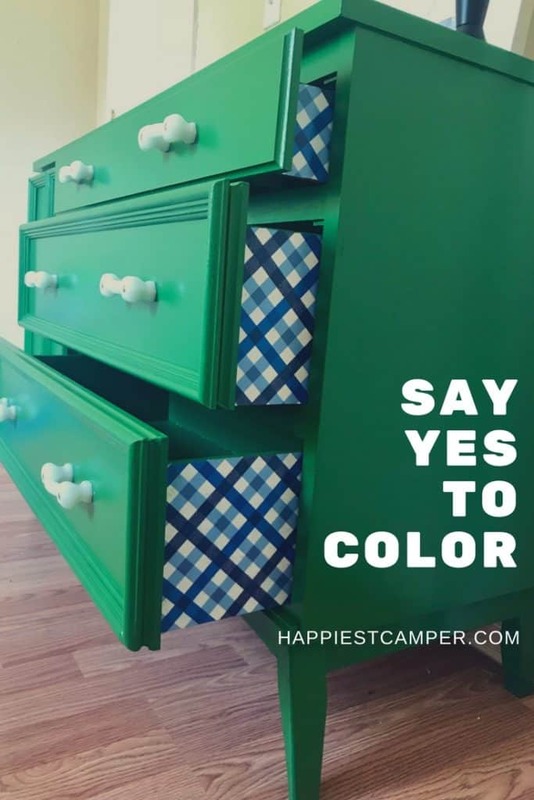 As if the hardware didn’t make the dresser makeover pretty enough, I added wrapping paper to the drawers with decoupage medium for an unexpected pop. 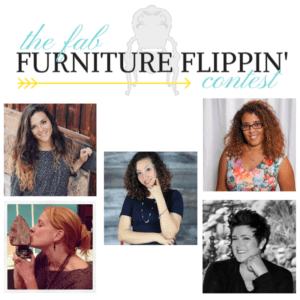 Now the project is a perfect contender for The Fab Furniture Flippin’ Contest, whose latest them is “Make it Pretty”. Interested bloggers can contact info@eveyscreations.com to participate in future contests. If you like this post, you’ll love my Mustard Yellow Dresser and fun Train Table Makeover too! It looks fabulous! Love the green– The white handles really pop!